Lucy is a lonely, precocious four year-old who has a problem: her imaginary playmate, Mr. Marmalade, is a stressed-out businessman who rarely has time for Lucy and her tea parties any longer. Even Mr. Marmalade’s personal assistant, Bradley, can’t keep up with Mr. M’s flurry of appointments. When Lucy makes a connection with a troubled boy her age, it threatens to unravel Mr. Marmalade’s world in dangerous ways. Can Lucy navigate the tricky line between the bewildering real world and the adult dramas of her imagination? 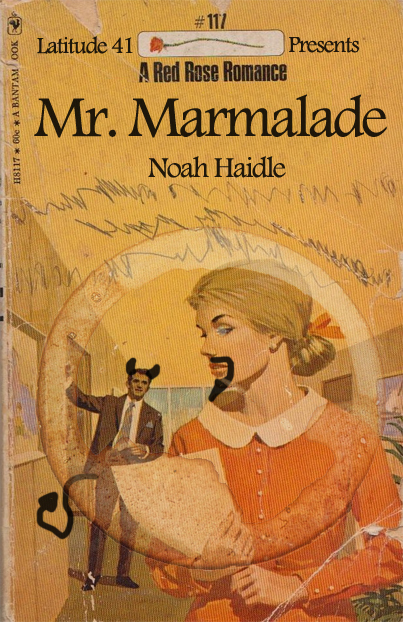 In MR. MARMALADE, Noah Haidle has crafted a shockingly smart black comedy from the perspective of a neglected child, whose imagination is awash in a pastiche of television dramas and soaps and in the coded and murky world of adult relationships. Fast-paced and profane, MR. MARMALADE gleefully deconstructs the bad choices adults make and deposits them in the surreal world of Lucy, where one eventful night turns both hilarious and heart-breaking. February 1, 2, 8, 9 at 8pm, and February 3, 10 at 2pm, indoors at the Bicentennial Park Theater, 201 W. Jefferson St., Joliet. Admission is $15. Featuring Erin Schneider as Lucy, Jeff Matson as Mr. Marmalade, Ryan Flynn as Larry, Steven Shanks as Bradley, and Samantha Piper and Luke Pascale in multiple roles each. Written by Noah Haidle. Directed by Al Pindell, Assistant Directed and Stage Managed by Reg McReynolds, Technical Direction by Bill Griffith and Ken Fletcher, with costumes designed by Katy Friefeld. Produced by Latitude 41. MR. MARMALADE includes adult language and content—we’re not kidding around! All of our actors are adults, and we think our patrons should be, too, for this show. Latitude 41 is Joliet’s newest community theater group. Last year, Latitude 41 co-produced OKLAHOMA! and TRANSYLVANIA GENERAL at the Billie Limacher Bicentennial Park Theater. Please join us for MR. MARMALADE and again in April for ANOTHER DAY, our next production. Visit us online at www.lat41.org or on Facebook at facebook.com\lat41. Latitude 41 is a not for profit organization.